Deb Schwartz was born in Manhattan, but raised in South Florida, where she spent most of her time indoors, hiding from the sun. She received a bachelor of arts from the University of Florida and a master of fine arts from University of Maryland, College Park. 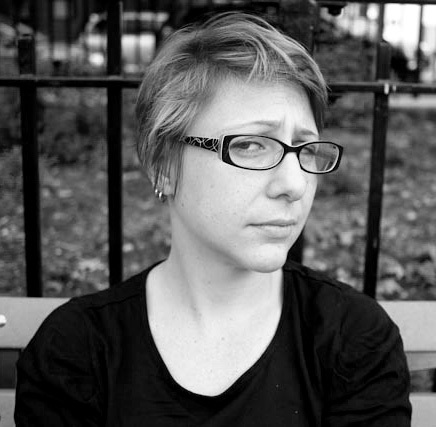 She moved to New York City in August of 2001, and has been designing websites ever since. Her freelance work includes websites for a podcasting company, a dental office, a Florida state representative, and the Jewish Community of Münster, Germany. She has also held full-time positions with a sculpting resin manufacturer, a September 11th commemorative gallery, and a Holocaust memorial museum. For the last seven years she has worked in digital and print media for two different non-profits dedicated to affordable housing in New York City. She enjoys photography, decoupage, and to some extent knitting, but her first love is short story fiction writing. She has published stories in the Kenyon Review, Gulf Coast, and Arts & Letters: Journal of Contemporary Culture, winning first prize in their 2004 short story competition. Presently, she lives in a crowded apartment in Brooklyn with her husband, their son, and her enormous ego. Resume and references are available upon request.